Together we, of all ages stand in solidarity to show our support for Women’s Rights. We acknowledge our past as we move towards a collective future inclusive of women of color, transgender women & men, women with disabilities & women from all ages, religious faiths and backgrounds. 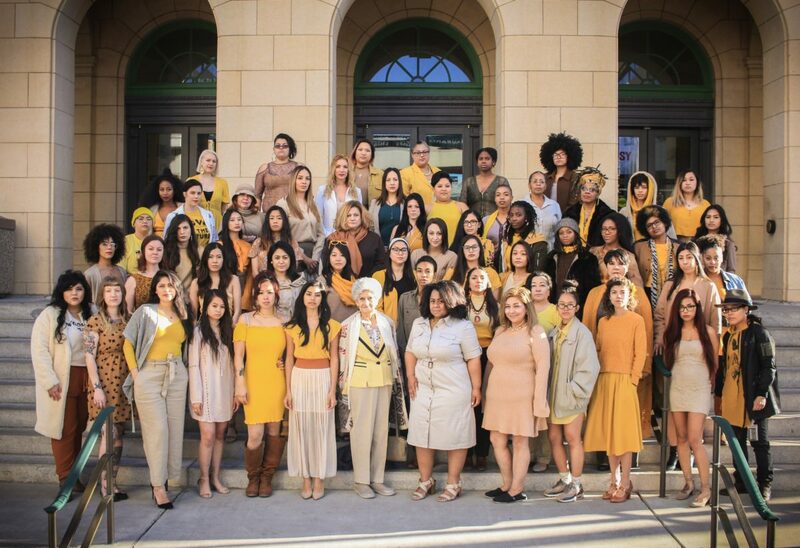 We wear yellow and gold as a nod to the colors of the earlier feminist movements, while expressing our hope and desires for the movement today. Different cities nationwide have joined the #UnityinColor movement and we’re proud to share the Las Vegas Edition! The significance of The Mob Museum to our city, our community, and our culture can be seen as history through the eyes of men. That has changed and will continue to change. Las Vegas continues to be seen as the city built by mob men, but it is now a city, a community, and home to powerful, fearless women. We are the catalyst to change. We are the face of feminism and the future. We are Las Vegas, and Las Vegas is us.